At the beginning of this session, each panelist took some time to explain to attendees who they are, what their company does, and how they plan for cognitive tools to elevate their business strategies and goals. What was most interesting during these presentations was the recurring theme of the need to move full steam ahead with leveraging cognitive learning, and the uncertainty of regulation surrounding the predictions made. The panelists agreed that if you want to be predictive, right now it’s nearly impossible to regulate. 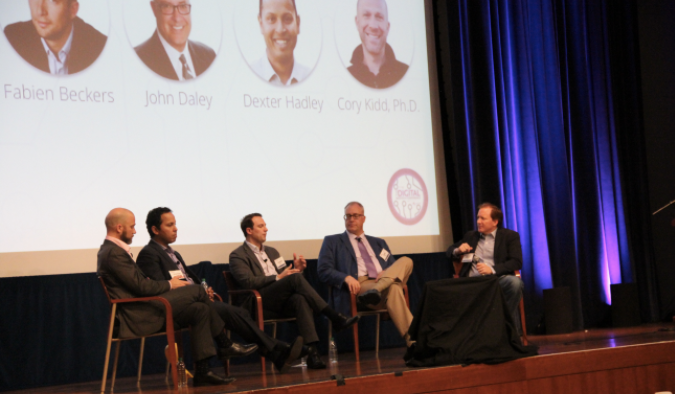 Panelists explored what exactly cognitive health is and the benefits of it to organizations. According to the panelists, cognitive health is reading, reasoning, and learning technology that can understand unstructured safety information. With cognitive health, organizations can add speed, scale, and consistency to health care. By using these technologies, we can move towards a digital-readiness point of view when we can begin unifying different data perspectives. Leveraging integrated technologies is key to ingesting, normalizing, and analyzing data to have the greatest impact on digital health possible.